Cardinal Scale RD2X4 quad remote display provides readouts for multi-platform truck scales visible up to 150 feet away. The RD2X4’s high-intensity LED display offers bright-red 2.25-inch-high digits that are easily visible even in direct sunlight. Ten brightness level settings let you select the exact intensity for the best visibility in your environment. This is a unique product offered by Cardinal Scale Manufacturing, RD2X4 quad remote display provides readouts for multi-platform truck scales. 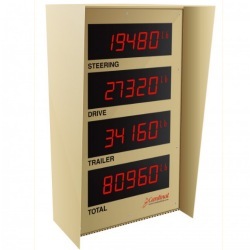 This display is designed for truck weighing systems where the steering axle, drive axle, trailer axle, and total weight are shown to the truck driver. The IP66 rated mild steel cabinet features a rain hood and is painted industrial tan for long-lasting outdoor use. The cabinet comes with a post mount designed for 4-inch pipe (approx. 4.5-in OD). 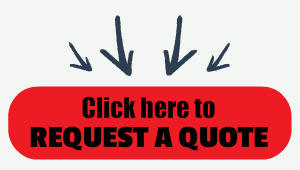 The RD2X4 quad remote display has the capability to interface to RS-232 or 20mA current loop. The display's Auto Learn mode adapts to the data output for your indicator and is compatible with Cardinal Scale's 225 Navigator or 825 Spectrum weight indicators with multi-scale option cards. This auto format feature automatically selects input protocol based on the indicator for plug-and-play operation. There are no moving parts inside the display for long life and reliability. The front panel opens vertically for easy internal access.